The Brunswick Men's Frenzy Wide Width bowling shoes have an athletic look that works well for bowlers needing extra width. These shoes have a mesh upper that offers breathability and flexibility as well as padding in all the right places for comfort. The extra-light EVA outsole will keep you light on your feet and won't tire you out. The Pure slide microfiber slide soles offer immediate superior slide. Put your competition into a FRENZY with these Brunswick bowling shoes! Great looking and feels great. Your big wide feet looks flashy. Love the shoes; the look, the feel, the wide width.......love all around! Hi! The width of the Brunswick Mens Frenzy will be a EE width. If I get the True fit guarantee, can I use it more than once with the same order, untill I find a pair of shoes that work for me?. The True Fit Guarantee is only for exchanges for the same shoe just a different size and you will have up to 3 exchanges. Yes, these are universal shoes for both left handed and right handed bowlers. For this particular shoe, it will be a standard D width for men. Do you have any 4E bowling shoes? The standard width is a D and the wide width is a EE. 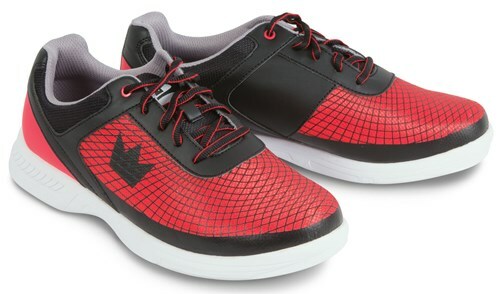 Due to the time it takes to produce the Brunswick Mens Frenzy Black/Red Wide Width ball it will ship in immediately. We cannot ship this ball outside the United States.